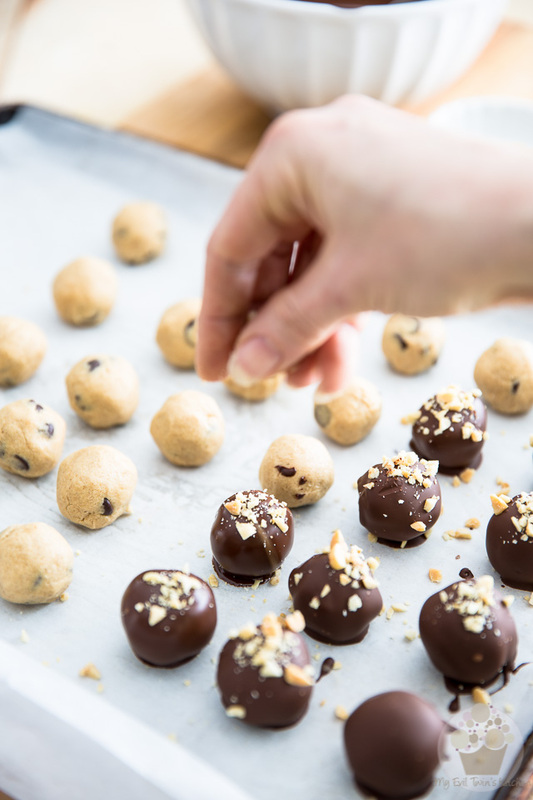 These Peanut Butter Cookie Dough Truffles contain no raw eggs or flour, so they are perfectly safe to eat raw. 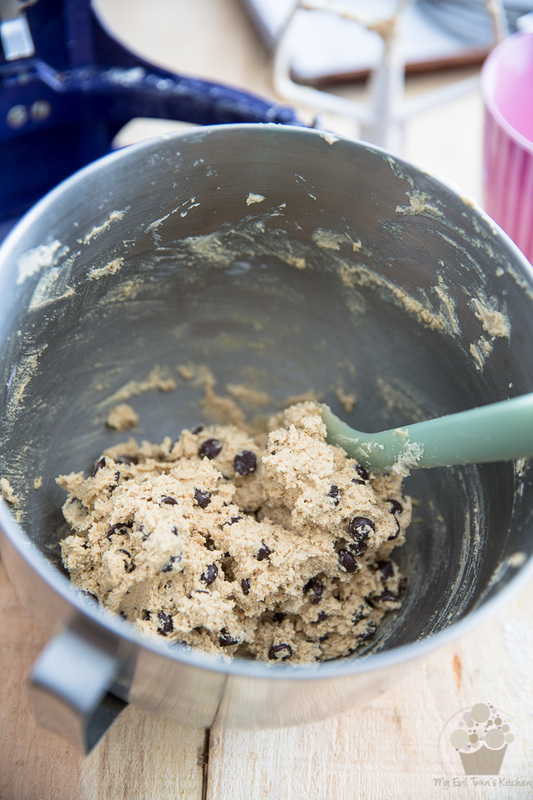 A heavenly treat for the cookie dough lover! Sure, I mean, something has to be said for holding a cookie in one hand and feeling your teeth slowly sinking into the warm, chewy and gooey baked good, or watching your fork dig away at a soft, spongy, decadently moist slice of cake. But still. The raw stuff is usually so incredibly good, I simply can’t resist it. I’ll sometimes (who the hell am I kidding? make that always) save a little bit to delight on once I’m done sending all the goodies into the hot oven. And I’m not talking about just licking the beaters or spatula, or scraping that bowl real clean. I”m talking about actually leaving more than necessary at the bottom of the bowl, so I an munch on it. On purpose! Bad me, I know! Technically, they say you’re not supposed to eat raw batter, because of the raw eggs and raw flour that it contains. 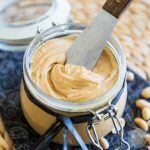 It’s a well known fact that raw eggs are a concern because of potential salmonella contamination (even though the chances of contracting salmonella by eating raw eggs are practically nonexistent) but apparently raw flour also poses a problem and may have been responsible for a few cases of contamination with E. coli. Plus, it’s been known to cause severe cramps in some individuals. Hmpft. It would take way more than that to ever stop me from delighting on this so-impossible-to-resist-it-must’ve-been-meant-for-the-gods substance. Let’s say I like to live dangerously! And I don’t think I’m the only one, either…. 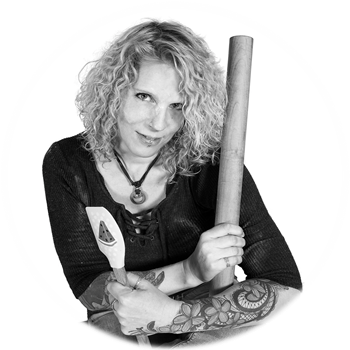 I mean hey, who here has never even licked their bowls clean, or beaters, or spatulas? But still, if you happen to be one of those extremely unlucky individuals who gets them severe cramps from eating raw flour, or if you have actual concerns over possible contamination, I’ve got good news for you! 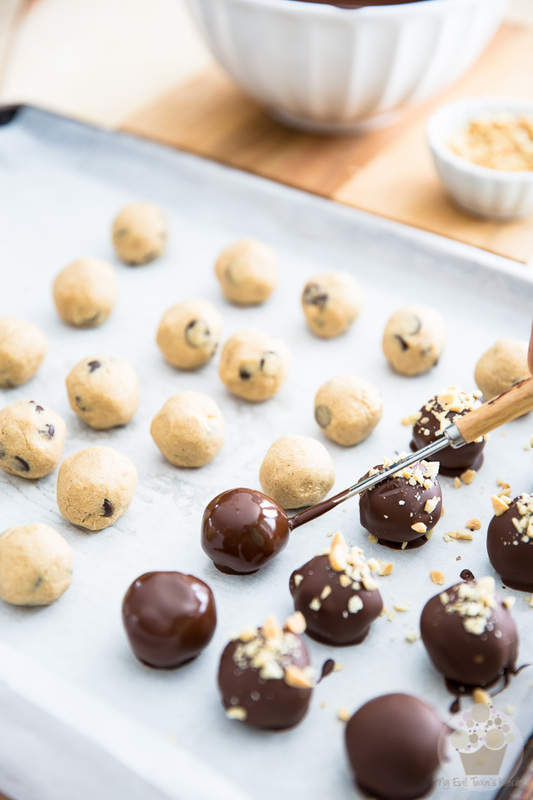 These peanut butter cookie dough truffles are perfectly safe to eat raw, for they contain no eggs and no flour. Well, no wheat flour anyway. I made them with oat flour, which is perfectly safe to eat raw. Plus, the oats confer a bit of a grainy texture to the dough, which to me is so reminiscent of good raw cookie dough. Not only that, but I also find that the subtle flavor of the oats complements that of the peanut butter like they’re a match made in heaven. In a medium mixing bowl, combine the oat flour, baking soda and salt; Mix with a flat whisk until well combined then set aside. Line a 13″ x 18″ baking sheet with parchment paper. 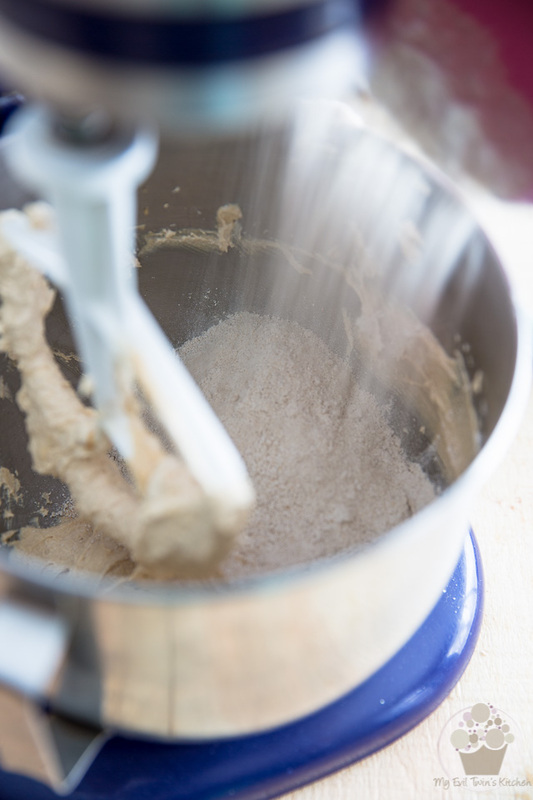 Then, in the bowl of your stand mixer, combine the butter, peanut butter, brown sugar and vanilla extract. Beat the peanut butter, butter, brown sugar and vanilla on high speed, using the paddle attachment, until the mixture becomes really light and fluffy, about 5 minutes. …and mix on low speed until just incorporated. …and mix them in until they too, are just combined. You can mix them in with the mixer or by hand, with a rubber spatula. Just make sure you don’t overmix. 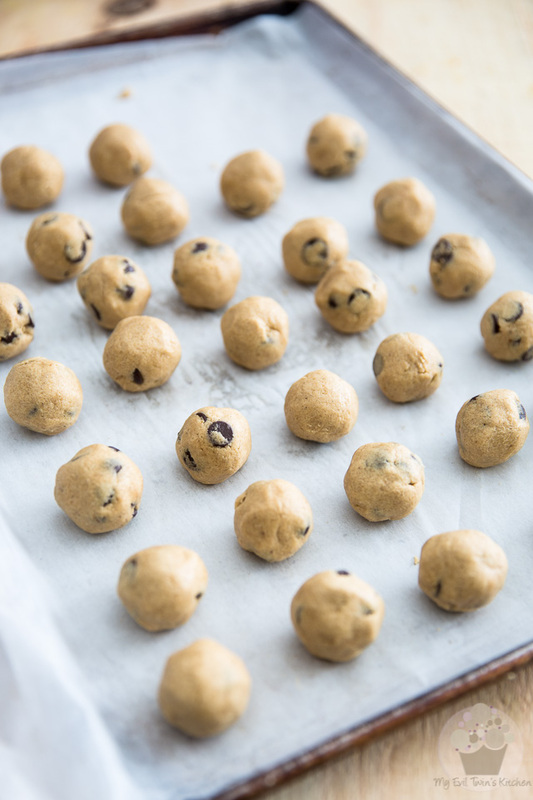 Using a small spring-loaded ice cream scoop , scoop the cookie batter onto the prepared cookie sheet and then refrigerate for about 15 minutes to help the batter firm up some. Now you don’t absolutely HAVE to use a spring-loaded ice cream scoop here, but I find it truly works wonders to get the job done: not only does it help in getting the spherical shape going, but it also helps tremendously in making uniformly sized truffles! In other words, it practically does all the work for you! Return the now perfect balls of dough to the refrigerator for 30 minutes or until they are really firm. Melt the chocolate in the microwave in 20-30 second bursts and stir well for an equal amount of time between each burst until it’s completely melted. Make sure the chocolate doesn’t get too hot. It only needs to get warm enough so it’s completely melted. 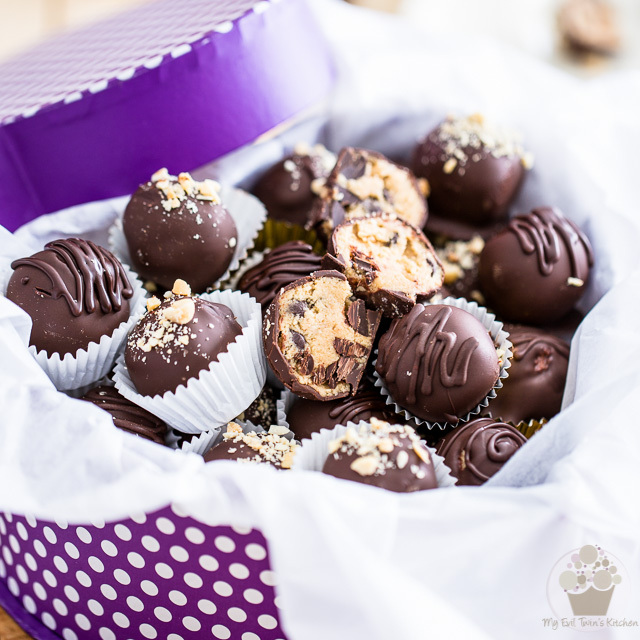 Take the cookie dough balls out of the refrigerator and dip them one at a time in the melted chocolate. 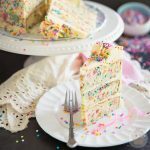 You can use a fork to do the dunking, but a candy dipping ring works best for this task. 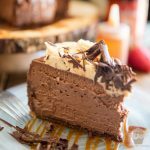 It is specifically designed to keep the spherical centers stable as you dip them into the chocolate and allows the excess chocolate to drip efficiently through the center. The best part is, they really don’t cost much and will last you for years. A small investment that is totally worth it, if you ask me! Once your centers have been dipped in chocolate, let them drip for a few seconds and then place them back on the baking sheet. 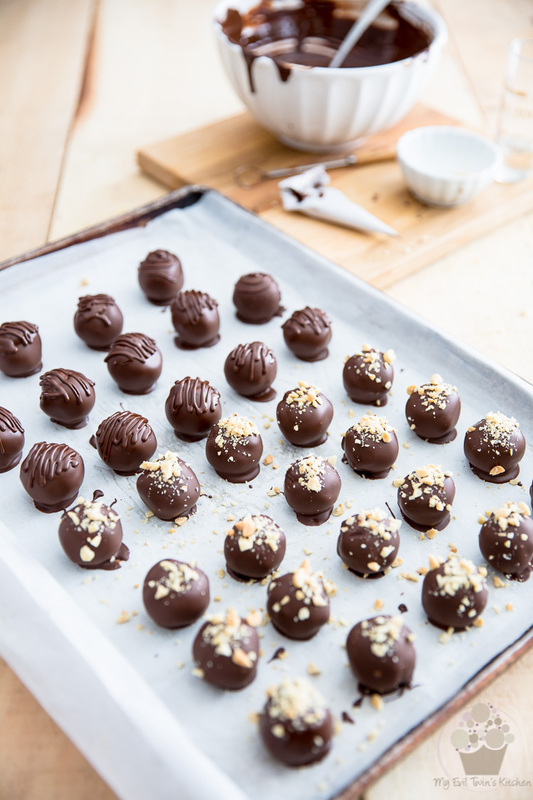 If you wish to garnish your truffles with chopped peanuts, make sure you sprinkle the nuts over the chocolate while it’s still wet, otherwise they simply won’t adhere well. You can also use a little bit of melted chocolate to decorate the truffles. 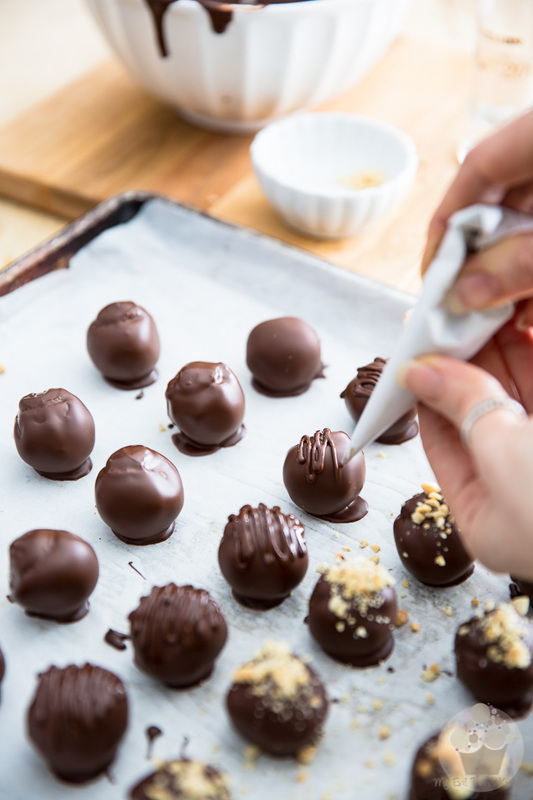 All you need to do is put it in a squeeze bottle or parchment paper cone and then gently squeeze it over the truffles once the chocolate coating has completely set. Just go back and forth in a zig-zag motion, or do a spiral across the top. Of course, you can do a combination of all of the above, which in fact, I strongly encourage you to do! Transfer your finished truffles to the refrigerator and let them cool until they’re completely set, about 15 minutes. Try them both, see which one you prefer! 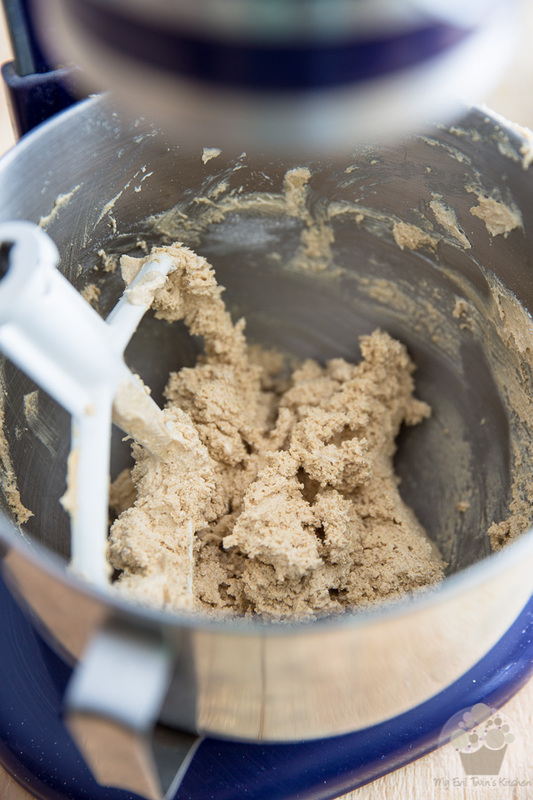 In a medium mixing bowl, combine the oat flour, baking soda and salt; Mix with a whisk until well combined then set aside. Line a 13" x 18" baking sheet with parchment paper. 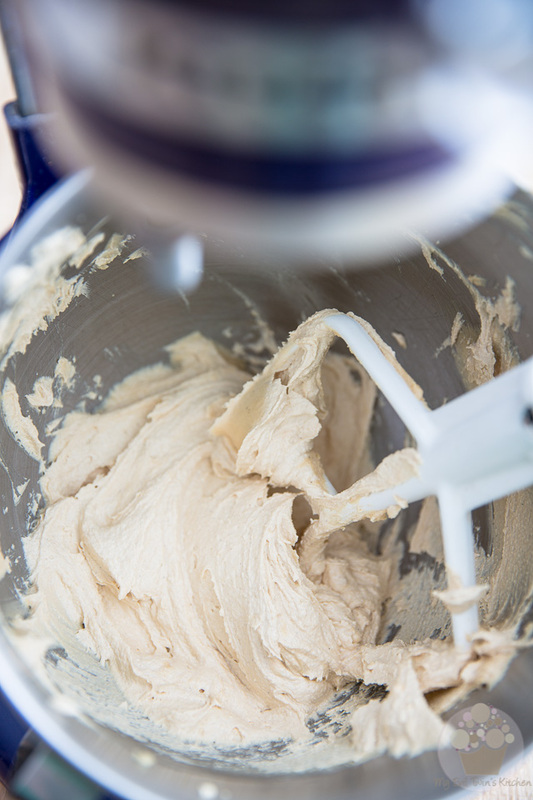 In the bowl of your stand mixer, combine the butter, peanut butter, brown sugar and vanilla. Beat on high speed with the paddle attachment until light and fluffy, about 5 minutes. 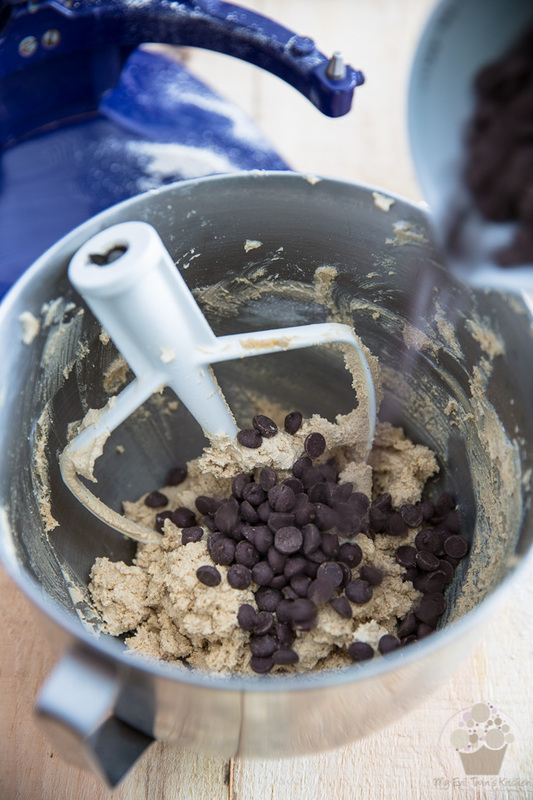 Add the oat flour mixture and mix on low speed until just incorporated, then do the same with the chocolate chips. 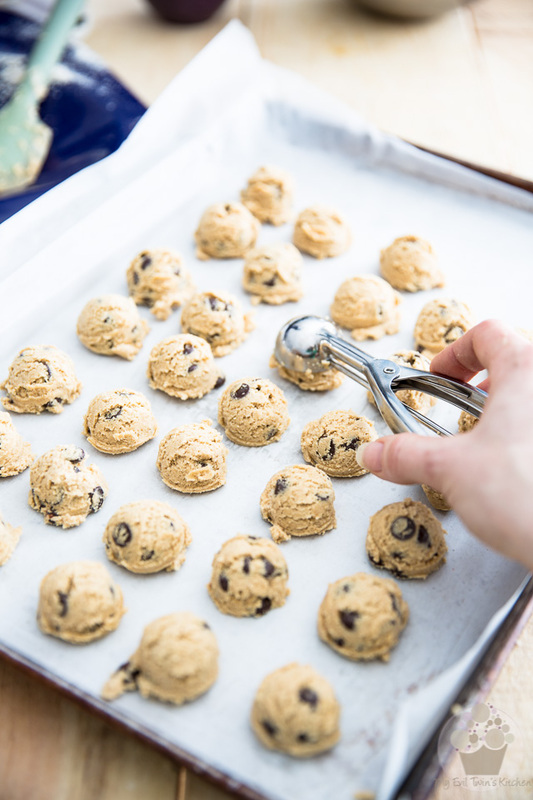 Using a small spring-loaded ice cream scoop (see note 2), scoop the cookie batter onto the prepared cookie sheet and then refrigerate for about 15 minutes to help the batter firm up some. 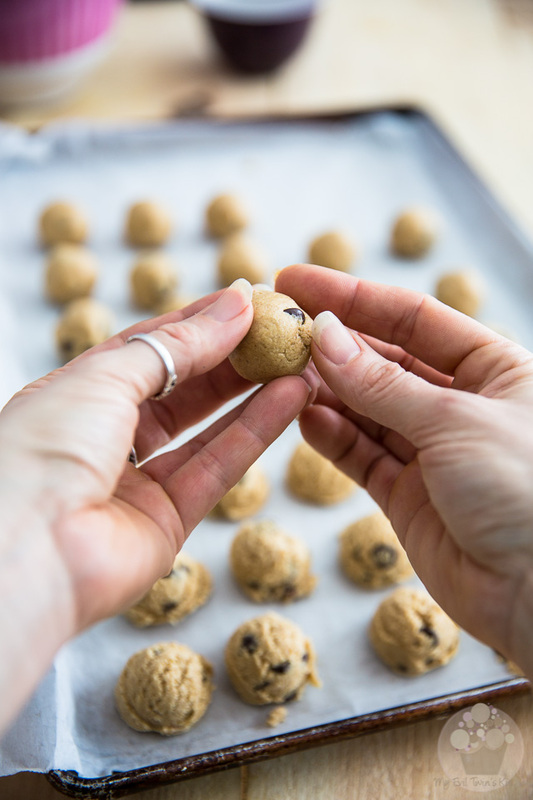 Next, roll the cookie batter between the palms of your hands and shape them into perfect spheres; return the balls to the refrigerator for 30 minutes or until really firm. Melt the chocolate in the microwave in 20-30 second bursts and stir well for an equal amount of time between each burst until it’s completely melted. Make sure the chocolate doesn't get too hot. It only needs to get warm enough so it's completely melted. 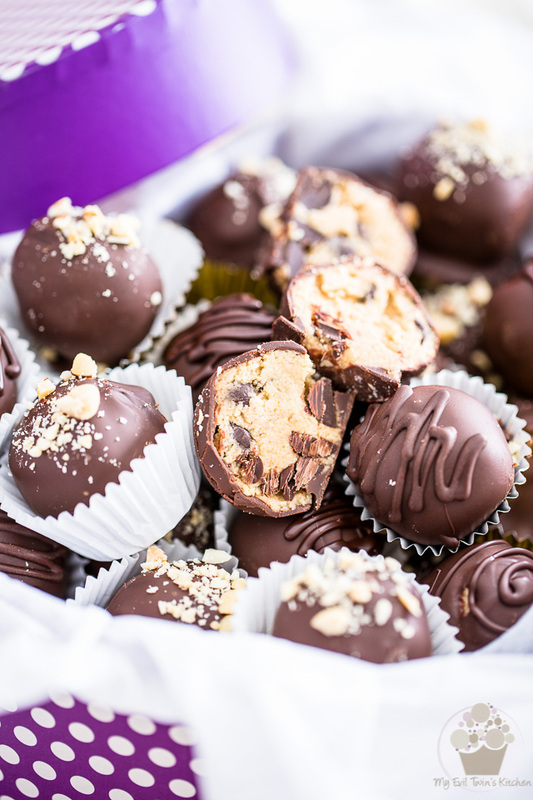 Take the cookie dough balls out of the refrigerator and dip them one at a time in the melted chocolate. Let them drip for a few seconds and then place them back on the baking sheet. 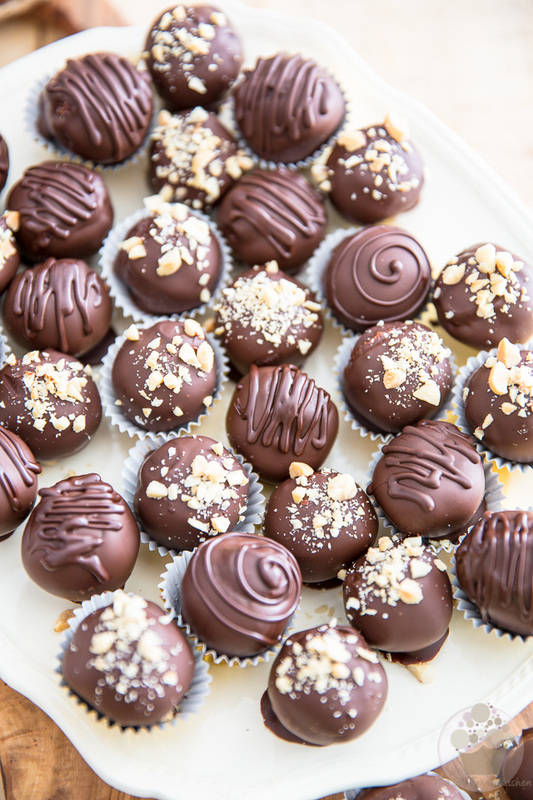 If you wish to garnish your truffles with chopped peanuts, make sure you sprinkle the nuts over the chocolate while it's still wet, otherwise they won't adhere well. You can also use a little bit of melted chocolate to decorate the truffles. 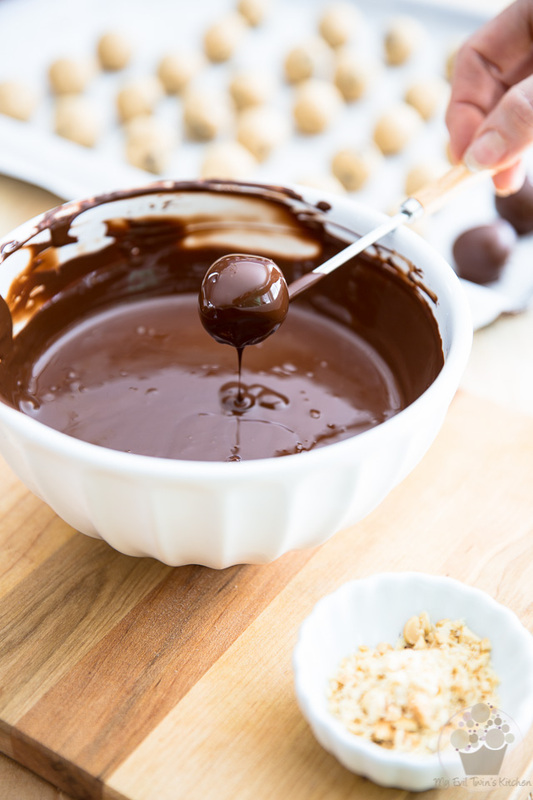 Simply put it in a squeeze bottle or parchment paper cone and gently squeeze it over the truffles once the chocolate coating has completely set. 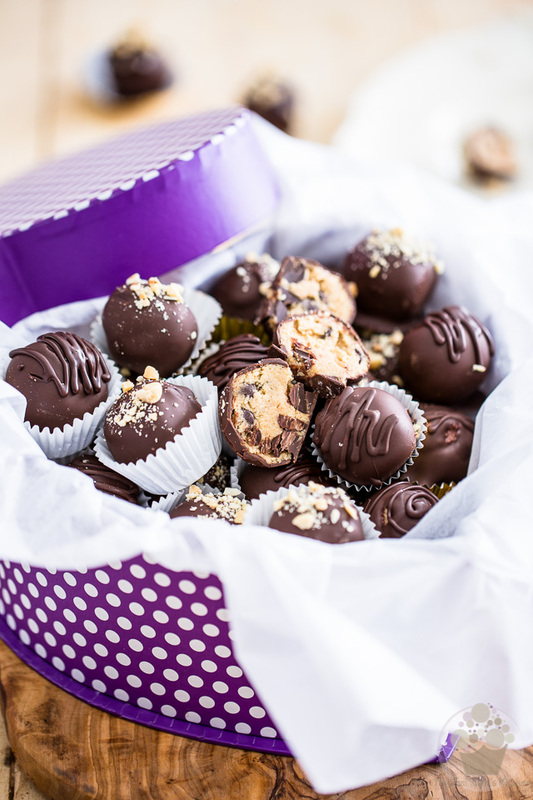 Transfer the finished truffles to the refrigerator and let them cool until completely set, about 15 minutes. Store in a cool dry place for up to a week. (1) You would probably have enough of 2 cups, but I always prefer to have more than less when dipping stuff in chocolate. 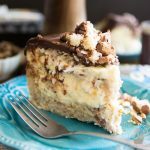 Plus, you can always keep and reuse any leftover chocolate. 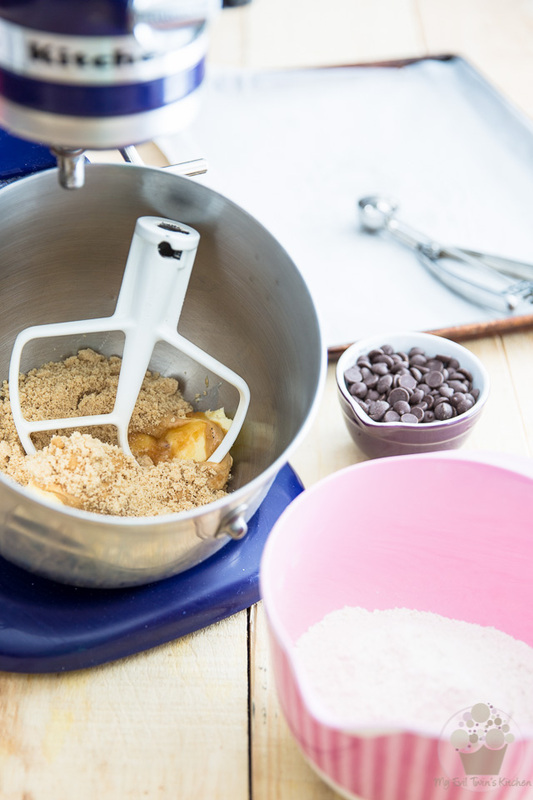 (2) The spring-loaded ice cream scoop works wonders to scoop the cookie dough. Not only does it help in getting the spherical shape going, but it also helps tremendously in making uniformly sized truffles! They’re so pretty!!!! Beautiful pics! Thank you Shel! That’s really nice of you to say!